The quality and functionality of kitchen appliances have greatly improved over the last several years. Since more people are becoming health conscious, we have to assume that companies are also developing better technology to meet all of these needs. 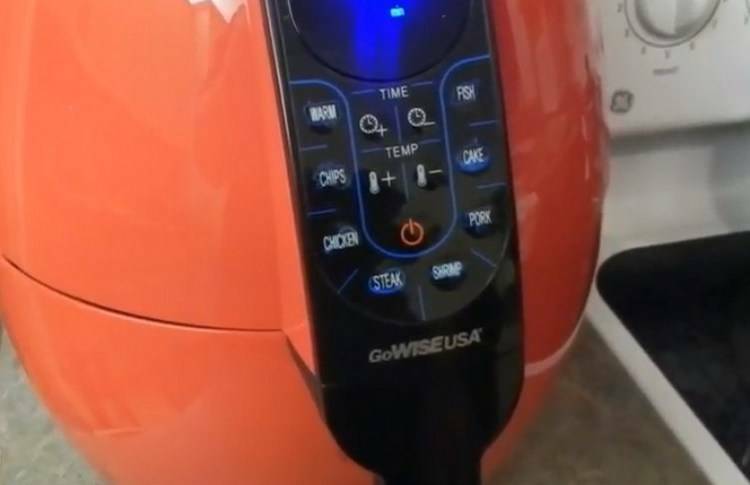 This GoWISE USA GW22639 Review is designed to help you see the difference this impeccable appliance can make to your health and your household routine. Not only are we constantly on the run to complete daily activities, but fast food restaurants are capitalizing on the fact that we need to keep the stomach full for energy. Providing food at low costs has given them a massive share in the market and also led many people astray in their goals to achieve the ultimate body or even just improve their health. 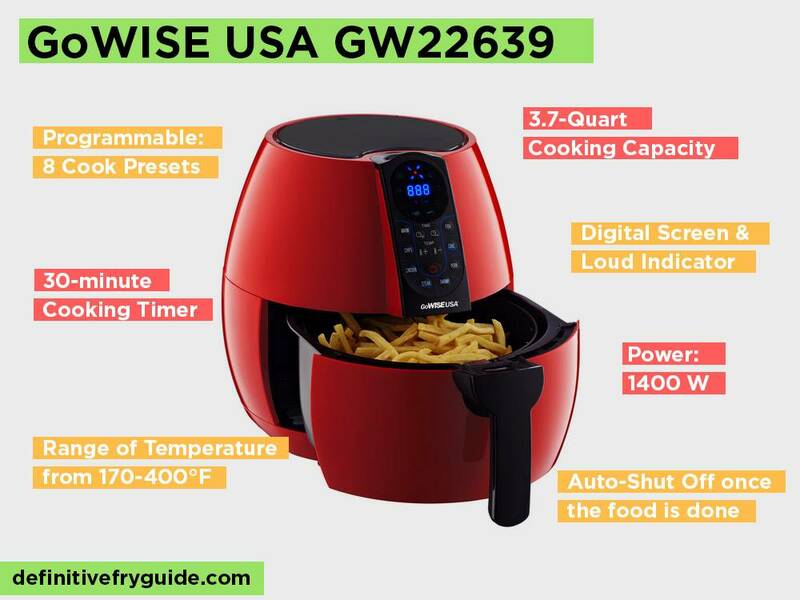 However, the GoWISE USA GW22639 Air Fryer can make the ultimate difference and help you in achieving all of your goals to that perfect body. Since the fat content of your food will also be reduced, you have all the best flavors without the harsh side effects like cholesterol and heart problems later on in life. 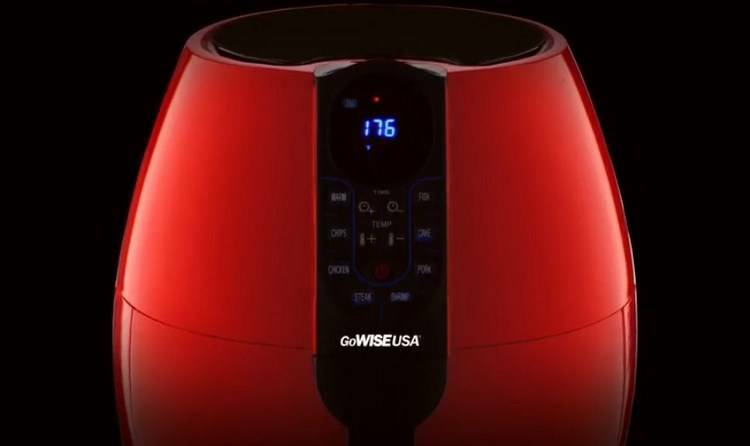 The GoWISE USA GW22639 is an air fryer designed to help you cook all of your meals more rapidly. Not only will it help you to save some time, but as we mentioned, the meals are healthier as well. You no longer need to suffer through eating all of those health recommended foods, but can practically cook any of your favorite meals without too many hassles. Since it is affordable and includes many features you need multiple appliances for, this can be a real money saver as well. If the technical specifications don’t appeal to you as of yet, you should continue reading to find out more about the features. 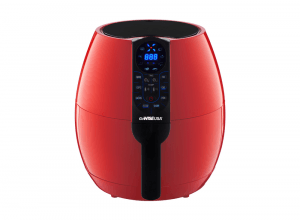 I have used the air fryer on many occasions and all of these benefits are what I experienced when using the product. Let’s have a look at what I have found when using it for a couple of months: timer, preset programs, multiple accessories and great display, healthy meals, easy to clean. We all get a little annoyed when we have to take the food out of the oven to check the temperature. However, the GoWISE USA GW22639 means you no longer need to do this and the intricate time can go up to 30 minutes depending on thermals you are cooking. 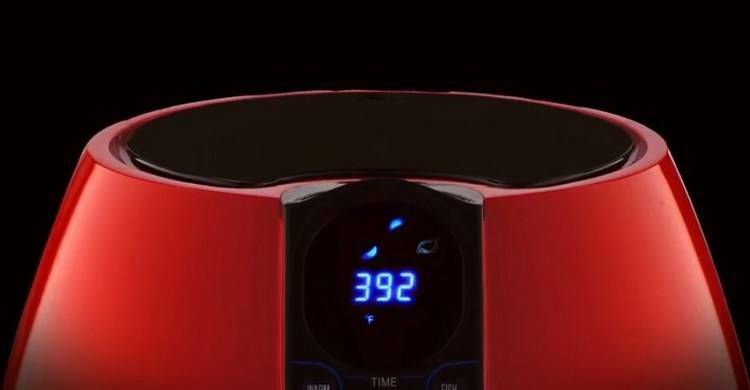 It has a loud alarm indicator that will alert you the moment your food has been cooked to temperature. This feature works well for those with busy schedules or when you have one of the children cook when working late. Instead of worrying about them accidentally burning or hurting themselves, the timer will indicate exactly when the foods have been completed. You no longer have to worry about burning your food either and the fryer will shut-off once it has completed the cooking cycle. Are you tired of wondering how long something should be cooked to reach the desired temperature? If so, the preset programs will be like a godsend gift. It has been designed with 8 different programs and these include virtually any type of meat you can think of. Additionally, the temperatures are also indicated to help you find the right temperature. Instead of constantly worrying about the food, you only have to add the right amount of oil to the fryer. The rest can be navigated on the display system that should make life so much easier for you as well. Once again, I think this will be great for when someone else in the family with limited cooking experience needs to stand in. It can also help them when it comes to improving the cooking skills. All the air fryers I have tested focus on providing you with healthier meals. The GoWISE USA GW22639 is no different and it will improve the quality of your meals without doing anything to the flavor. Compared to the regular deep frying of your food, you can now reduce some of the oil, saving you a couple of bucks each month and eventually on your doctor’s bill in the long run. If you think you cannot have crispy fries or delicately fried chicken without too much oil, you should definitely give this cooker ago before making such a statement. 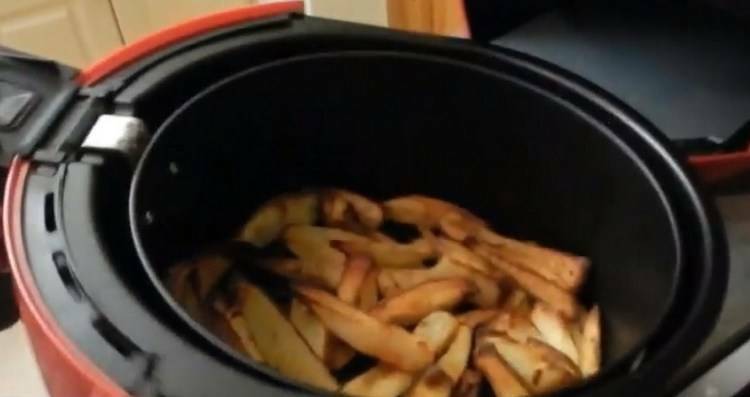 Your fries can be crispy and for the elderly, you can reduce the cooking time to have the fries limp and easy to chew. This is great for people of all ages to cook great meals. If there are any other people who love cooking out there, you can probably relate to the frustration of having to buy additional accessories once you have purchased the product. 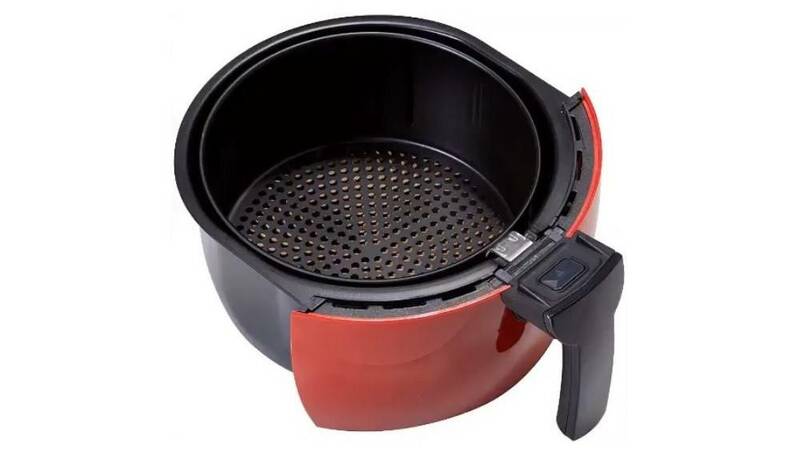 Fortunately, the GoWISE USA GW22639 has all the accessories, including your cooking grill and an additional cooking book with recipes that can be used specifically for this fryer. However, the LCD display system is one of the most modernized versions I have seen in quite some time. It is completely touchscreen and if you have oily hands or fingers, you can wipe it with no real smudging. I like the touchscreen feature and it has proven to be a little more useful. No longer do we need to take apart the other electronics to clean one simple button that has been jamming because of dust buildup. Once you get a little older and you have been using your appliances more often, you begin to realize the importance of keeping them clean. When cooking with oil, it can be hard to get rid of the oil and many people think that soaking it in hot water is the only way to remove all of the dirt. They believe everything will be dissolved or caught in the water. Yes, this is actually true, but this air fryer does not use a lot of oil and you don’t need to buy multiple brushes or cloths to have it cleaned. You simply need to wipe it with a hot and damp cloth and see how all of the dirt dissipates. I personally recommend cleaning it directly after you have used it for the best results and to ensure fewer hassles when used again. How We Had It Tested? There are numerous different reviews that we could have copied, but we haven’t. Unlike many people, we have tested this product to ensure it does actually work and since it is made in the US, it is not that hard to find either. I used it over a couple of months, pushing all of these features to the limits in the hope of finding a weakness, but most of it has been positive. One of the problems I encountered is occasional overheating and certain foods also take the same time they would when cooking them in the oven. This might only be me worried about not eating raw foods and often times I have found myself overcooking fish when I place it back into the air fryer. Overall, the product is excellent and should offer anyone great value for their money if they really love cooking. What Alternative Can You Choose? If you are looking for something else, don’t leave just yet. With some diligent research and the help of many friends, I have found many other cooking fryers that should help you. These have also been tested by real people and you should perhaps give them a try if you don’t like the GoWISE USA GW22639 as of yet. The GoWISE USA GW22731 is designed for the larger families. 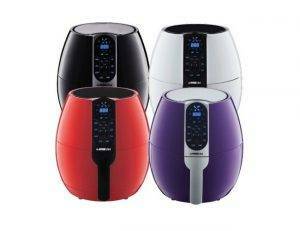 It has a 5.8-quart cooking capacity and it can replace up to 8 different appliances that you have in your home. You don’t need to have a large family and many people simply choose it since they don’t need to buy any other appliances now. The Cozyna 613-01 is slightly smaller, but still a great alternative for smaller families. It only needs 2 tablespoons of oil to cook your favorite French fries to a crisp and the design is rather elegant. Yes, it might be a little more expensive, but many people have sided with the Cozyna brand for their excellent warranties in the long run. Last but certainly not least, we have the elegant Philips HD9621/99 with all its features that are designed to spice up your kitchen. It might be small, but this will be more than enough for two people. Yes, this air fryer is a little expensive, but having used it myself, I can honestly say the flavors are worth the price. Are You Ready To Change Your Life With A Top Quality Air Fryer? You have seen our thoughts and opinions on the air fryers and how they helped to change our lives, now it is your turn and we would love to see some of your thoughts on this air fryer and many of the others we have not reviewed yet. Overall, this is an excellent option and anyone looking to get the best value for his or her money should consider the GoWISE USA GW22639. I can honestly say that given another chance and the knowledge I have today, I would still choose the same air fryer for the value it offers and the excellent tastes. If you want to have it, simply click here to find the cheapest prices.